Does your shower drain slowly? Does your toilet make gurgling sounds? Has the water pressure in your sink and decreased? Is water backing up in your sink? When you have a clog, the most non-invasive way to clear it out is by our high pressure water jetting. It also helps keep your plumbing systems in tact which makes for a longer lasting system. 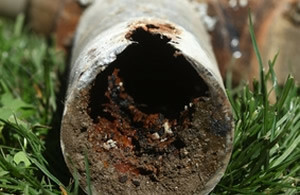 We pinpoint the exact location of the damage in your pipes with our state of the art video cameras and quickly repair the problem without damaging your yard. 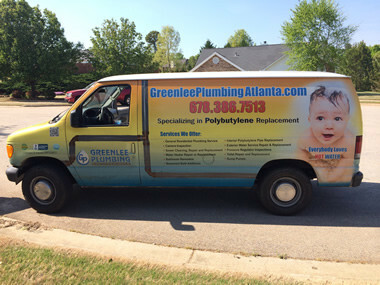 We are a fully licensed plumber with 5 Master Plumbing Licenses and over 10 years serving Metro Atlanta. We are also an Accredited BBB Plumbing Contractor! We offer same-day service and you can count on us to be your trusted plumber. We offer a wide range of plumbing services including: water heater replacement, clogged drains, video sewer inspections, polybutylene pipe replacement, high pressure water jetting and much more. We provide free estimates and a 1 year labor warranty on all of our services. For a FREE estimate, CALL TODAY 770-268-3813.